Troubled Youth. Coelho was born in Rio de Janeiro in 1947. He was raised to be a devout Catholic, and this strictness could be partly responsible for his seeking other forms of spirituality. in addition, he was raised to be a lawyer, but he decided relatively early on to pursue other interests. As a young man, Coelho was committed to mental hospitals on three occasions by his parents, who did not understand their son’s wish to become an artist. In his novel Veronika Decides to Die, Coelho questions his involuntary commitment. His protagonist, twenty-four and working in a library in Ljubljana, Slovenia, despairs over her inability to make changes in her life and the world. She overdoses on sleeping pills in a suicide attempt and finds herself in Villette, the infamous asylum for the insane. As Veronika meets other patients and becomes aware of their diagnoses and treatments, she questions the definitions of mental illness and the use of drugs to alter people who fall outside descriptions of what is considered normal. Following the original publication of the book in Brazil, new laws were put in place to restrict involuntary commitment. 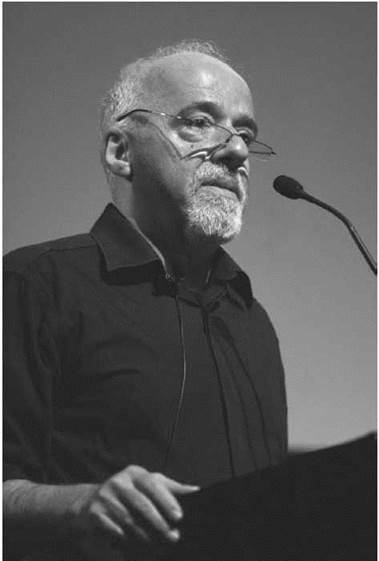 In 1998, with book sales exceeding twenty-seven million in over one hundred countries, Coelho became the second-best-selling author worldwide. Wide-Ranging Interests Coelho has worked as a journalist, a director, and a songwriter. He wrote many songs but is most famous for those written with musician Raul Seixas in the seventies. In addition to his jobs and creative endeavors, Coelho has traveled a great deal, most notably on the lengthy, ancient Spanish Road to Santiago, which he writes about in The Pilgrimage. Brazil was transformed from a democracy into a military dictatorship following a coup in 1964 and remained a dictatorship until 1985. Coelho was imprisoned (and reportedly tortured) in 1974 for antigovernment activities, including his musical collaborations with Seixas and their unconsummated plans for an anarchistic society. He was a recording executive in the late 1970s, first for Polygram, then CBS, and he founded the Instituto Paulo Coelho, a nonprofit organization to help underprivileged Brazilians, with his wife, Christina Oiticica, in 1996. He is currently an adviser to UNESCO and active on the Web and in film. He and his wife split their time between Brazil and France. Elena Poniatowska (1932—): Mexican author and journalist best known for her work commemorating the 1968 massacre in the Plaza de las Tres Culturas in Mexico City. Jorge Luis Borges (1899-1986): Coelho based The Alchemist on this famous Argentine writer's Tale of Two Dreamers. Gabriel Garcia Marquez (1927—): Nobel Prize-winning Colombian novelist and magic realist writer. Raul Seixas (1945-1989): Popular Brazilian songwriter who collaborated with Coelho. The Dharma Bums (1958), a novel by Jack Kerouac. In this novel, the famous Beat writer chronicles his journey to a remote mountain, where he finds peace and wisdom in solitude. The Teachings of Don Juan (1968), a book by Carlos Castaneda. This controversial novel/memoir claims to be about the author's journey with a knowledgeable shaman. Zen and the Art of Motorcycle Maintenance (1974), a novel by Robert M. Pirsig. In this novel, the narrator and his son question the nature of reality and delve into metaphysics while on a cross-country motorcycle trip. Despite being a favorite of readers, Coelho often endures criticism from reviewers, who, as one Economist contributor noted, ‘‘denounce him as a charlatan, a bore, a seller of snake oil.’’ Although critics recognize readers’ interest in Coelho’s ideas, they often fault his writing. 1. Look up the definition of new age and write a two-to three-page essay describing how this term applies to a particular work you have read by Coelho. Use specific examples from the text to support your ideas. 2. Read Borges’s Tale of Two Dreamers and The Alchemist. Write a six- to seven-page essay exploring how Borges’s work seems to have inspired The Alchemist. Use specific examples from each text to illustrate your findings. 3. With a few of your classmates, come up with a list of books, such as Veronika Decides to Die, that have helped shaped policy or alter laws and trends. You may use resources from the Internet or your library to aid in your search. 4. Write an informal essay explaining how a particular piece of Coelho’s fiction, like The Alchemist, can be viewed as nonfiction. Discuss how seeing the messages or themes in the book as conveying ‘‘truth’’ affects the reader differently than seeing those same messages or themes as mere authorial creations. Asia Africa Intelligence Wire. ‘‘Paulo Coelho: A Global Writer Lives the Simple Life in France,’’ September 7, 2005. Economist. ‘‘Loved by Readers, Hated by Critics,’’ March 11, 1995. Elnadi, Baghat, and Adel Rifaat. Interview with author. UNESCO Courier, March 1998. Flanagan, Margaret. Review of The Zahir: A Novel of Obsession. Booklist, September 1, 1995. ________. Review of The Devil and Miss Prym. Booklist, March 1, 2006. Fraunfelter, Sabrina. Review of The Alchemist. School Library Journal, July 1993. Hooper, Brad. Review of The Alchemist: A Fable about Following Your Dream. Booklist, May 1, 1993. Kirn, Walter. ‘‘Dateless in Seattle.’’ New York Times, May 23, 2004. M2 Best Books. ‘‘Brazilian Author’s Book Banned in Iran,’’ May 16, 2005. McGrann, Molly. Review of Veronika Decides to Die. Times Literary Supplement, October 8, 1999. Publishers Weekly. Review of The Alchemist, March 22, 1993. Publishers 'Weekly. Reviews of Veronika Decides to Die, April 3, 2000; July 11, 2005. Mudge, Alden. ‘‘Identity Crisis: The Many Faces of an Amazing Traveler.’’ Accessed from http://www.bookpage.com/0204bp/hari_kunzru.html. Paulo Coelho Home Page. Accessed April 26, 2008 from http://www.paulocoelho.com. Paulo Coelho on The Zahir: Author interview. Accessed from http://www.harpercollins.com/author/authorExtra.aspx?authorID=1858&isbn13=9780060825218&displayType=bookinterview. Warrior of the Light Web site. Accessed April 27, 2008, from http://www.warriorofthelight.com/.